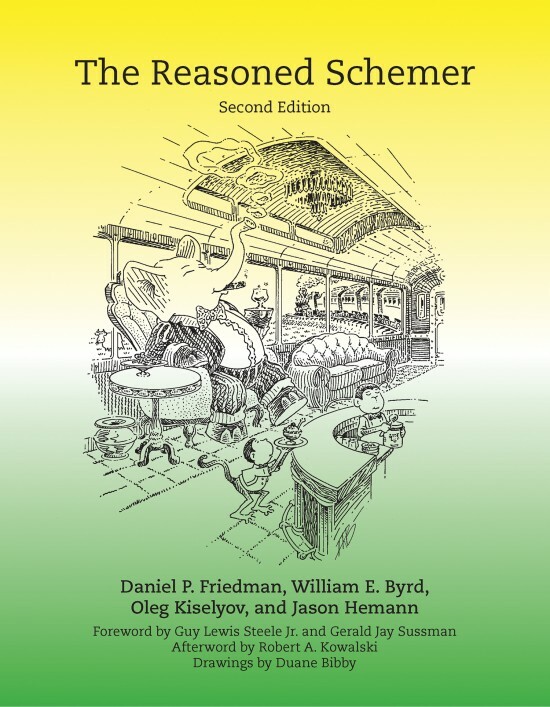 The Reasoned Schemer, Second Edition. The MIT Press, Cambridge, MA, 2018. The MIT Press, Cambridge, MA, 2005. Relational Programming in miniKanren: Techniques, Applications, and Implementations. William E. Byrd, Daniel P. Friedman, Ramana Kumar, and Joseph P. Near. A Shallow Scheme Embedding of Bottom-Avoiding Streams. To appear in a special issue of Higher-Order and Symbolic Computation, in honor of Mitchell Wand's 60th birthday. Lisa Zhang, Gregory Rosenblatt, Ethan Fetaya, Renjie Liao, William E. Byrd, Matthew Might, Raquel Urtasun, Richard Zemel. Neural Guided Constraint Logic Programming for Program Synthesis. In Advances in Neural Information Processing Systems 31 (NeurIPS 2018), 2018. William E. Byrd, Michael Ballantyne, Greg Rosenblatt, Matthew Might. Functional Pearl: A Unified Approach to Solving Seven Programming Problems. In Proceedings of the 22nd ACM SIGPLAN International Conference on Functional Programming (ICFP 2017), Oxford, 2017. Christina M. Woo, Alejandra Felix, William E. Byrd, Devon K. Zuegel, Mayumi Ishihara, Parastoo Azadi, Anthony T. Iavarone, Sharon J. Pitteri, and Carolyn R. Bertozzi. Development of IsoTaG, a Chemical Glycoproteomics Technique for Profiling Intact N- and O-Glycopeptides from Whole Cell Proteomes. Journal of Proteome Research, 2017, 16(4), pp 1706--1718. Jason Hemann, Dan Friedman, William E. Byrd, Matt Might. A Small Embedding of Logic Programming with a Simple Complete Search. In Proceedings of the Dynamic Languages Symposium 2016 (DLS '16), Amsterdam, 2016. Dakota Fisher, Matthew Hammer, William E. Byrd, Matthew Might. 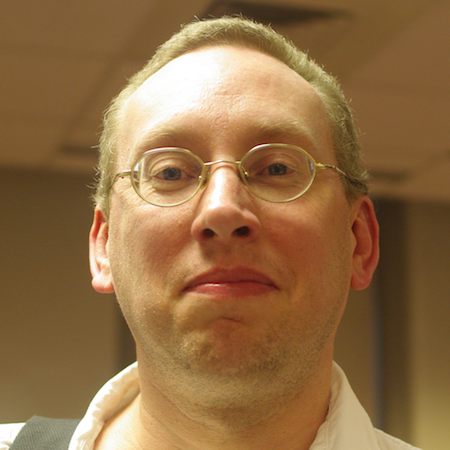 miniAdapton: A Minimal Implementation of Incremental Computation in Scheme. In Proceedings of the 2016 Workshop on Scheme and Functional Programming, Nara, Japan, 2016. Steven Lyde, William E. Byrd, Matthew Might. Control-Flow of Dynamic Languages via Pointer Analysis. In the 11th Dynamic Languages Symposium (DLS) at SPLASH 2015, October 27th, 2015. William E. Byrd, Eric Holk, and Daniel P. Friedman. miniKanren, Live and Untagged: Quine Generation via Relational Interpreters (Programming Pearl). In the Proceedings of the 2012 Workshop on Scheme and Functional Programming, Copenhagen, Denmark, 2012. Claire E. Alvis, Jeremiah J. Willcock, Kyle M. Carter, William E. Byrd, and Daniel P. Friedman. In Proceedings of the 2011 Workshop on Scheme and Functional Programming (Scheme '11), Portland, OR, 2011. Eric Holk, William E. Byrd, Nilesh Mahajan, Jeremiah Willcock, Arun Chauhan, and Andrew Lumsdaine. In Proceedings of the International Conference on Parallel Computing (ParCo), Ghent, Belgium, 2011. Eric Holk, William E. Byrd, Jeremiah Willcock, Torsten Hoefler, Arun Chauhan, and Andrew Lumsdaine. Kanor: A Declarative Language for Explicit Communication. Austin, TX, pp. 190-204, 2011. Andrew W. Keep, Michael D. Adams, Lindsey Kuper, William E. Byrd, and Daniel P. Friedman. Cal Poly Technical Report CPSLO-CSC-09-03, pp. 37-45, 2009. Joseph P. Near, William E. Byrd and Daniel P. Friedman. LNCS vol. 5366, Springer-Verlag, Heidelberg, pp. 238-252, 2008.
ed. Jacques Garrigue and Manuel Hermenegildo, pp. 64-80. LNCS vol. 4989, Springer, 2008. Universite Laval Technical Report DIUL-RT-0701, pp. 79-90. From Variadic Functions to Variadic Relations: A miniKanren Perspective. University of Chicago Technical Report TR-2006-06, 2006, pp. 105-117. National Institute of Informatics, Tokyo, Japan, December 18, 2018. Tokyo Haskell Meetup, Tokyo, Japan, December 17, 2018. Domain Specific Language Design & Implementation (DSLDI 2018), Boston, MA, November 6, 2018. Part of the ACM SIGPLAN conference on Systems, Programming, Languages and Applications: Software for Humanity (SPLASH 2018). Boulytchev Lab, St. Petersburg State University, St. Petersburg, Russia, October 15, 2018. Leetspeak 2018, Malmö, Sweden, October 13, 2018. Kyoto, Japan, May 15--16, 2018. Taught a two-day interactive mini-course on miniKanren and relational programming at the University of Kyoto. Topics included: introduction to relational programming, translating functions to relations, relational interpreters in miniKanren, program synthesis via relational interpreter, and implementing microKanren. Keynote to open the Nagoya University Programming Seminar & Competition, Nagoya University, Nagoya, Japan, May 13, 2018. Fourteenth International Symposium on Functional and Logic Programming (FLOPS 2018), Nagoya, Japan, May 9, 2018. Tokyo Institute of Technology (Titech), Tokyo, Japan, May 7, 2018. Public Sicss Society Event, DWANGO Building, Tokyo, Japan, May 6, 2018. Clojure/SYNC 2018, New Orleans, LA, February 15, 2018. Cambridge NonDysFunctional Programmers Meetup, Cambridge, UK, January 23, 2018. Logic and Semantics Seminar, University of Cambridge, Cambridge, UK, January 23, 2018. University of Oxford, Oxford, UK, January 18, 2018. Code Mesh 2017, London, England, November 8, 2017. RacketCon, Seattle, WA, October 7, 2017. ACM SIGPLAN International Conference on Functional Programming (ICFP 2017), Oxford, UK, September 4, 2017. Papers We Love, New York, NY, April 12, 2017. LispNYC, New York, NY, April 11, 2017. KatsConf 2, Dublin, February 18, 2017. Clojure/conj, Austin, TX, December 3, 2016. Off-the-Beaten Track (co-located with POPL 2016), St. Petersburg, FL, January 23, 2016. Partial Evaluation and Semantic-Based Program Manipulation (PEPM 2016), San Diego, CA, January 18, 2016. Stanford University, Stanford, CA, November 30, 2015. Code Mesh 2015, London, England, November 4, 2015. Code Mesh 2015, London, England, November 2, 2015. 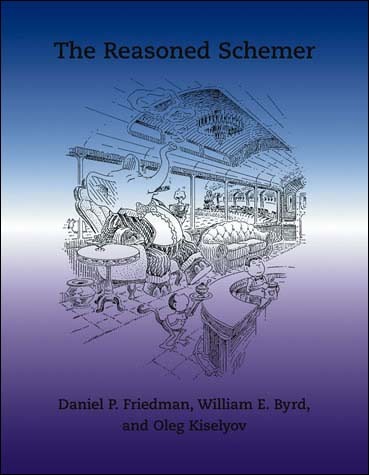 Scheme and Functional Programming Workshop, Vancouver, Canada, September 4, 2015. St. Petersburg, Russia, August 24--28, 2015. PolyConf, Poznan, Poland, July, 2015. PolyConf, Poznan, Poland, July 2, 2015. Lambda Lounge Utah, Sandy, UT, May 12, 2015. Strange Loop, St. Louis, MO, September 17, 2014. Off-the-Beaten Track (co-located with POPL 2014), San Diego, CA, January 25, 2014. Practical Aspects of Declarative Languages (PADL), San Diego, January 23, 2014. The Computer Laboratory, University of Cambridge, Cambridge, England, December 6, 2013. Code Mesh 2013, London, England, December 5, 2013. Clojure/conj, Alexandria, VA, November 14, 2013. Strange Loop, St. Louis, MO, September 18--20, 2013. Lambda Jam, Chicago, IL, July 9, 2013.
flatMap, Oslo, Norway, May 14, 2013.
miniKanren Confo (associated with Clojure/West), Portland, OR, March 19, 2013. Clojure/conj, Raleigh, NC, November 16, 2012. Strange Loop, St. Louis, MO, September 24, 2012. Scheme and Functional Programming Workshop, Copenhagen, Denmark, September 9, 2012. Computer Science Department, Colorado State University, Ft. Collins, CO, February 29, 2012. CATALYST, Informatics and Computing Student Association, Indiana University, Bloomington, IN, February 18, 2012. Indiana University Logic Seminar, Bloomington, IN, February 15, 2012. Technology Management Club, Kelley School of Business, Indiana University, Bloomington, IN, February 7, 2012. Clojure/conj, Raleigh, NC, November 10, 2011. Mechanical Engineering Technology (MET) Department, Purdue University, West Lafayette, IN, October 12, 2011. Indiana University Programming Languages Group, Bloomington, IN, April 15, 2011. Recorded by Zachary Kessin, Thursday, November 13, 2014.